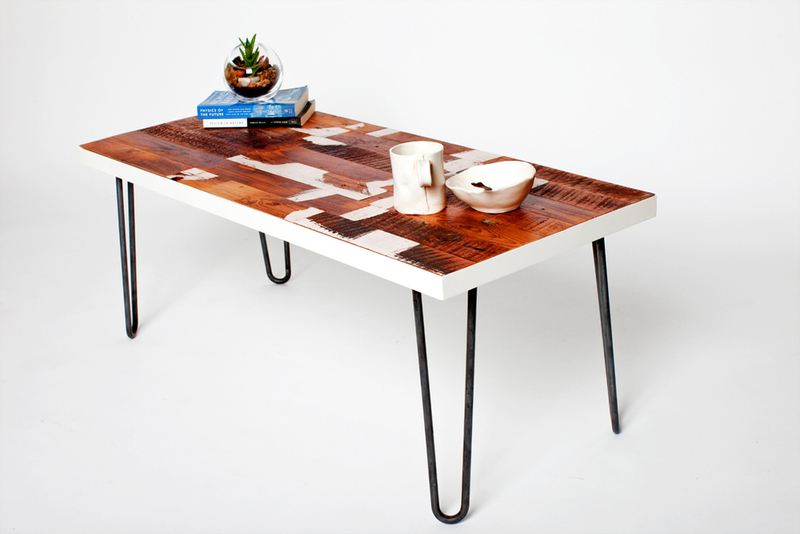 The Peace Coffee Table matches our Peace Desk. Made from old barn siding that fell in Byron, NY. On the side of the barn a peace sign was painted in thick white paint. 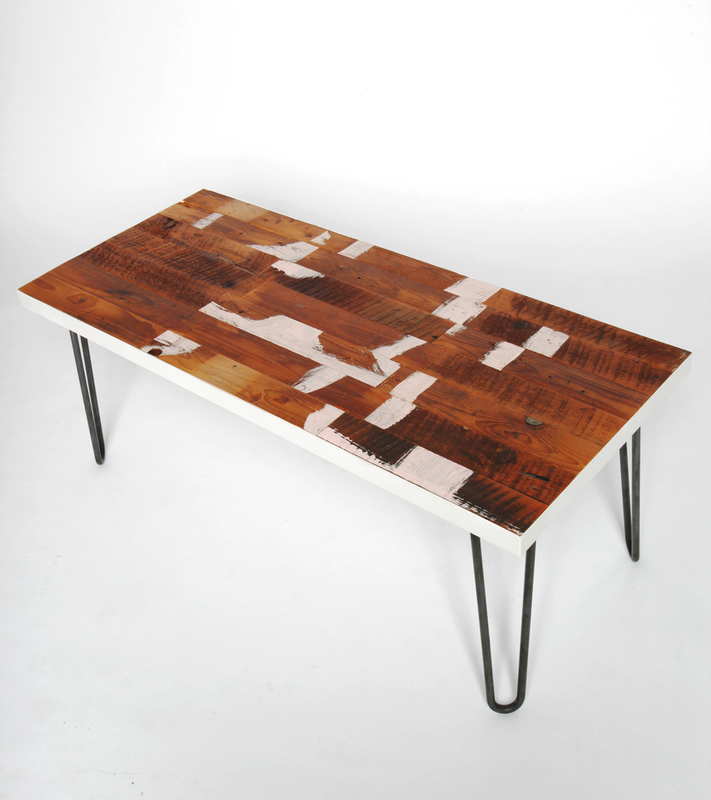 We jumbled the boards and produced this coffee table with our own handmade hairpin legs.